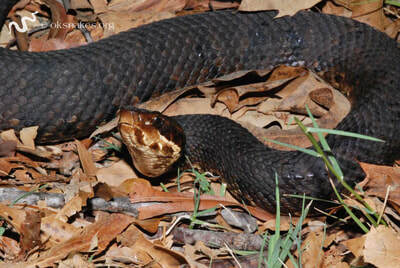 This heavy-bodied snake has a pattern that is typically obscured by its dark coloration. The back is usually a mix of black, brown, and olive green, and the belly is white or cream-colored with black mottling. 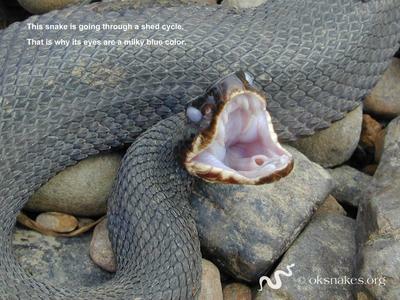 This snake has weakly keeled scales, a vertical pupil (not round), and an obvious heat-sensing pit between the eye and nostril. Fish, amphibians, birds, and sometimes other snakes. 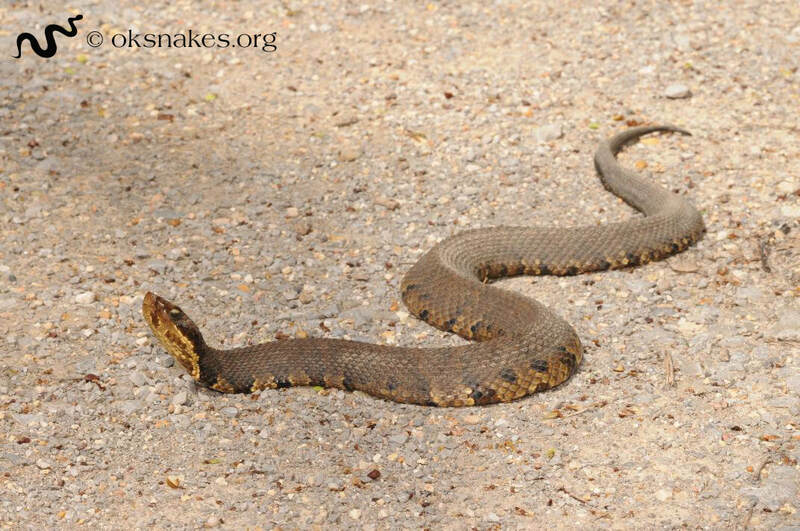 Mates in spring and gives birth to 1 - 15 young in late summer. Females often have babies every other year. 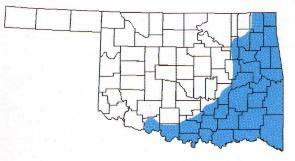 Near permanent sources of water. 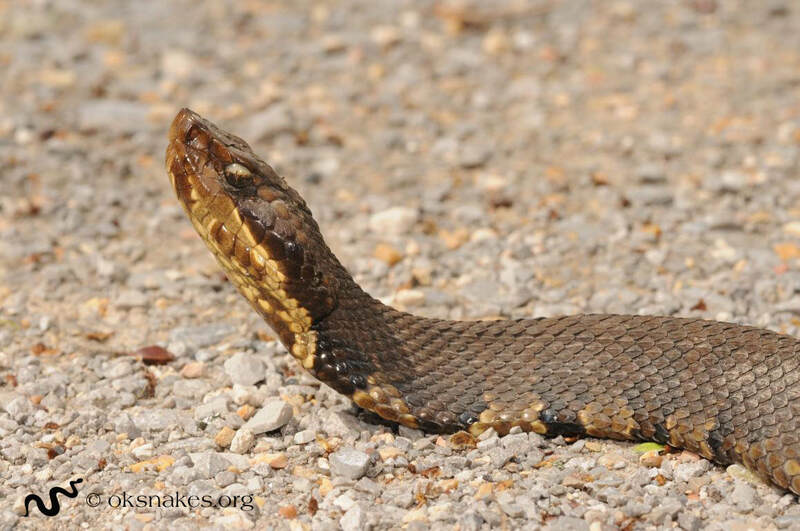 Newborn cottonmouths have a bright, distinct pattern, which they lose as they darken with age, and they have a yellow tail tip that they use as a lure to catch prey. Like their pattern, they also lose this tail coloration as they grow. 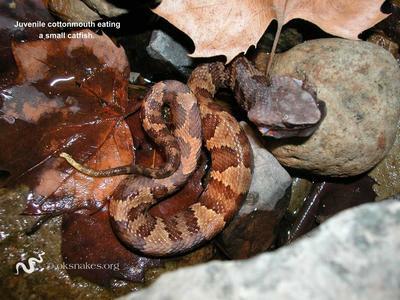 Cottonmouths swim with their head up and their entire body on the surface of the water, unlike the harmless water snakes, which swim with the lower half of their body underneath the water. The name "cottonmouth" is derived from the snake's habit of opening its mouth in a defensive posture when it feels threatened. 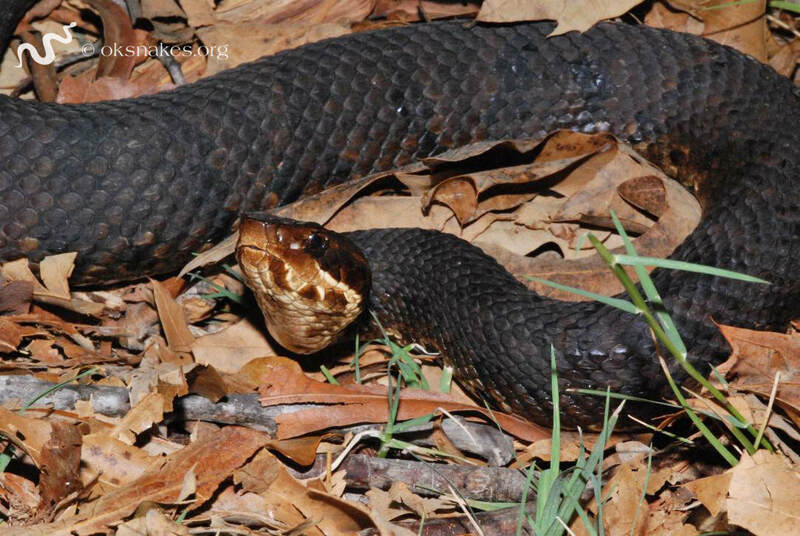 Other names for this snake are "water moccasin" and "trap jaw."